Posted on January 17th, 2017 by vladimir and tagged The Prionids Collection newsletter. 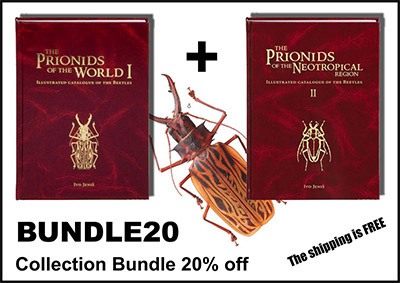 This certificate entitles you to a discount of 20% at The Prionids Collection Store. The Prionids of the World & The Prionids of the Neotropical region. Posted on July 21st, 2010 by webmaster and tagged The Prionids Collection newsletter. The second volume of The Prionids Collection series is out now and ready to order. This book is called The Prionids of the Neotropical region and as name suggests it is devoted to South and Central America.